Seph Lawless tells the story of America through images of its forgotten places. The urban explorer has photographed ruined factories, collapsed apartment buildings, abandoned amusement parks and, especially, "dead malls" that have fallen into ruin. There is no shortage of them in the region he calls home, the Midwest. "I've always wanted Americans to see what's happening to their country from the comfort of their suburban homes and their smart phones," Lawless, who lives in Cleveland, told CNNMoney. "I want people to see the beginning of the end of the greatest economic machine that the world has ever seen: America." With each image of yet another mall on the eve of demolition, Lawless adds another piece to his haunting mosaic of America. 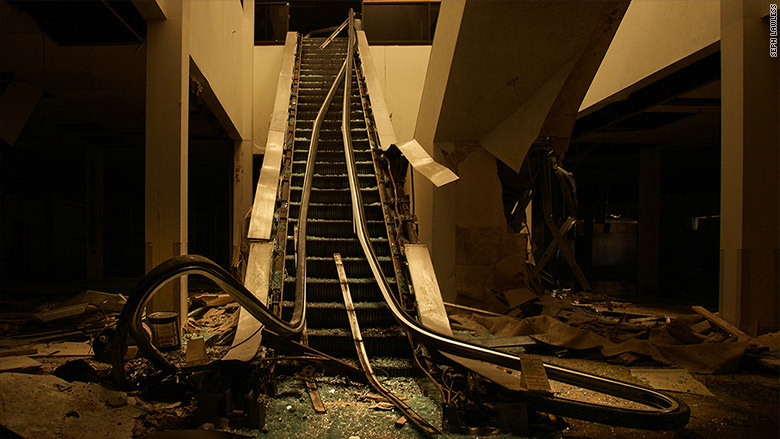 His latest photo project, snapped just two weeks ago, is of the doomed Metro North Mall in Kansas City, Missouri. 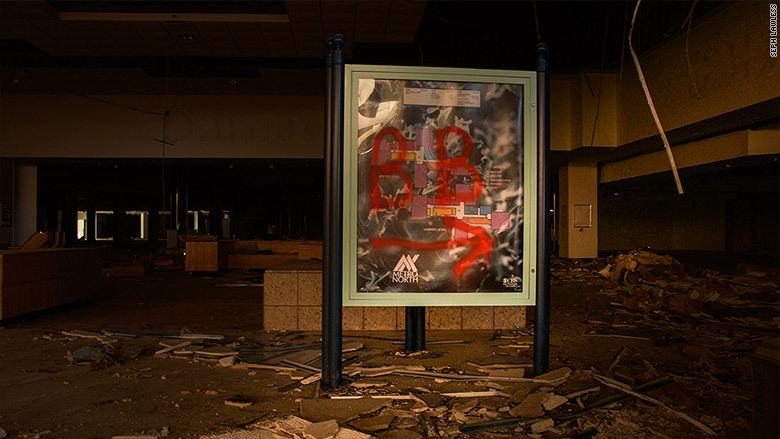 Seph Lawless photographed the abandoned Metro North Mall in Kansas City just before demolition. "It feels like you're the last person alive," said Lawless, who toured the ruins just as demolition was about to begin. "It's peaceful, but it's also surreal. I thought it was creepy for one major reason. It had a futuristic vibe in a way." He said that the mall, built in 1976 and shuttered in 2014, featured "bubble lights" that "almost looked like these space ships, with light beaming down." And even though it had been protected from vandals, he was surprised how quickly the interior had deteriorated. "That's what really shocked people," he said. "How could it deteriorate so rapidly?" 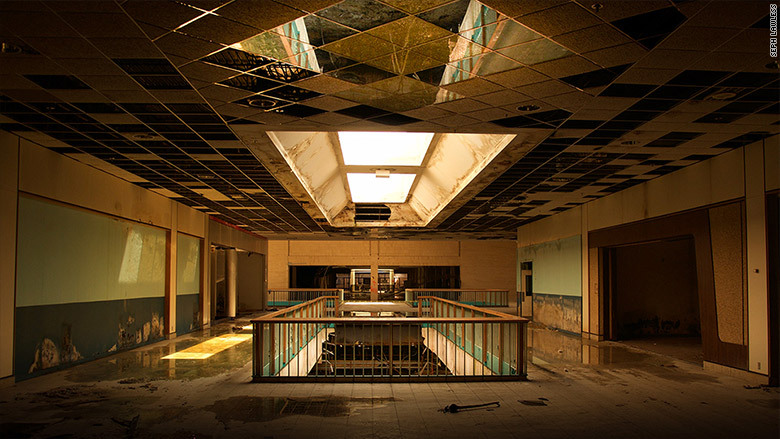 Seph Lawless says that photographing dead malls makes him feel like "the last person alive." He said the story of Metro North is more about the change in American society than its economic demise. For one thing, the wrecking ball is sparing the Macy's (M) anchor store. And rather than leaving the ruins to the rats, city developers are rebuilding the site as an open-air shopping center. Lawless said the area around the mall is thriving with neighboring stores and businesses, and developers believe that shoppers want a retail space open to the elements, not the enclosed mall that used to be hallmark of American society. Metro North Mall is being torn down after 40 years to be rebuilt as an open air shopping center. "Their communal space is social media," he said. "They don't need to go to a mall where they can walk around, meet with people. There's no need for that large enclosed space." 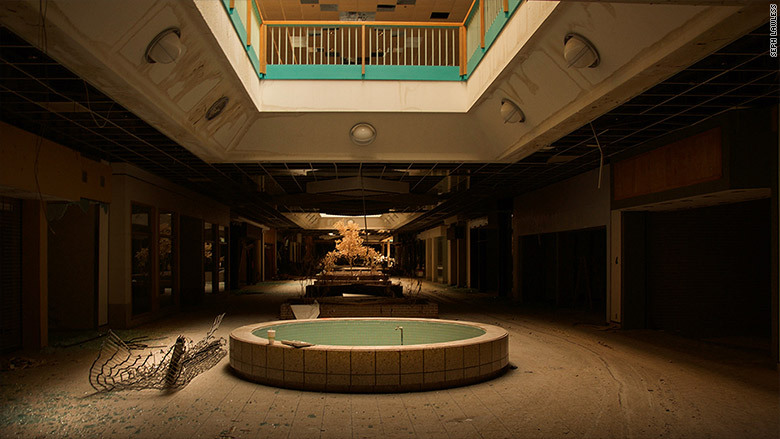 But many of the other dead malls that Lawless has photographed are casualties of economic malaise in depressed regions of the Rust Belt that were once thriving. 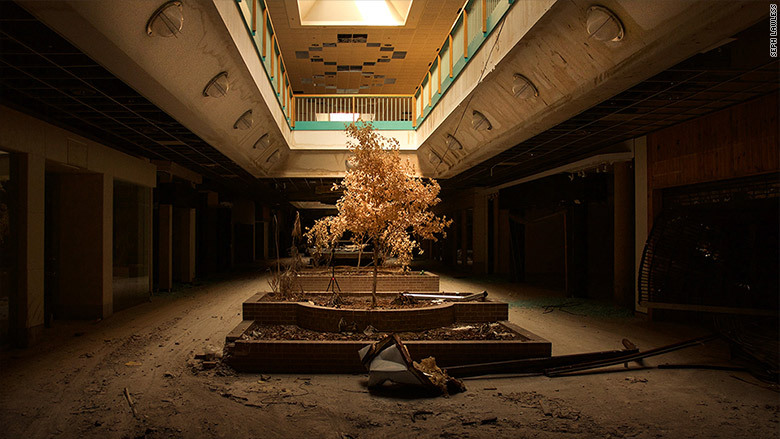 Seph Lawless has photographed the ruins of 25 abandoned shopping malls. "I've watched it grow. I've watched these large spaces become abandoned, he said. "It's a depressing journey. It's been a sober journey." He said that people who lived in those areas felt ignored and cut off from the rest of America, which is why many of them voted for Donald Trump for president: They felt he was listening to them. Seph Lawless' book "Autopsy of America" is coming out next year. "The country has definitely changed drastically in parts, and it's an important thing for people to see," Lawless said. 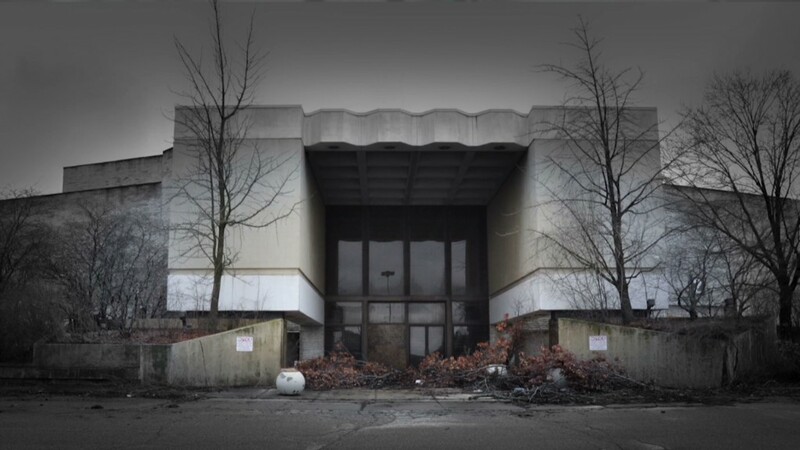 "People see [dead malls] as America thriving at one point, and people what that kind of America back." Lawless' new book, "Autopsy of America: The Death of a Nation," will be published next year.